Eating with Friends Across the World - Virtual Dinner Party - Bartender HQ, Cocktails, Bar Culture and More. Imagine sitting at your dining table with good friends and sharing a meal from your favourite restaurant, delivered to your table. Or should I say tables, as your friends are sat in other countries, not that you’d notice. Welcome to the Virtual Dinner Party. Its 2018. Services like Deliveroo, Just Eat and Uber Eats have grown rapidly year over year, bringing restaurant food to the home. High streets have rapidly declined as brick and mortar stores failed to offer a better experience than online stores like Amazon. As well as this, Virtual Reality headsets are finally becoming affordable and light enough to wear comfortably without running cables to high powered gaming PCs. More and more people are starting to work from home as high speed internet becomes standard. As a result, employees are able to work from anywhere in the world as productively as if they were in adjacent cubicles. Your team could be working whilst on a beach, backpacking around Asia and it would make no difference. So how does the hospitality industry react? Throwing a Party 2030 Style. Rather than meeting in a geographical location, you’ll invite your friends to a virtual dining room. It could be the best bar in the world or a Michelin starred restaurant. You’ll be able to get a reservation, as you’re using your own seats. You slip on your headset and order a drink with the waiter. Its a real person, they’re just not there in the room with you. They’re able to recommend wines and cocktails just as you’re used to. As your guests join you at the table from wherever they are in the world, they order and you chat and interact as you always would have. The drinks are made for you by a real bartender and delivered to your table. Once everyone arrives, you order your meals and the waiter leaves. You sit and catch up with friends, talk about the latest e-sports games and reminisce about the good old days. As usual, everyone’s meals are served together. The only real, perceivable difference to the old way is that it’s really difficult to steal fries from your friends plate, as that plate is 3000 miles away, even though it looks like you could reach out and take one. But how could all of this work? I’m not going deep into the actual technology, everything we’ll talk about here is only incremental improvements to existing technology. The big difference is really infrastructure. As I mentioned, you’d be served by a real person in the virtual dining room. While AI assistants are becoming increasingly advanced and difficult to tell from real life, I think getting to the point where real time banter and conversations feel right will be a massive challenge. As such, you’ll be served by a waiter, also likely working from home in a VR rig. You’ll get the personal service you’re used to. This setup will allow waiters to work the shifts they want and drop in and out of shifts when it suits them. In the same way that Uber has surge charging at busy periods to encourage more drivers onto the road, you’ll pay a premium to dine at busy times to bring the best servers online. At the end of your meal, your server will be rated, just like the Uber stars, but based on the tip percentage you leave. This means elite waiters will earn more and be in demand. There’s no reason for the waiter to be near you, and your whole table will be served by the same waiter, regardless of how spread you are across the globe. When it comes to staff who produce food and drink items, there will of course need to be a distributed network. They won’t need to be in high rent locations with limited capacities however, as the delivery will be automated and fast. You’ll be able to interact with a bartender directly if you step up to the virtual bar which can look however you like. The bar that your actual bartender will be in however will be set up as an ultra efficient dispense bar with everything to hand. The station can be 360 degrees as there is no guest to face. Bartenders would be able to make use of an Augmented Reality headset, overlaying orders and if needed recipes as they work and directing them to rarely used bottles. The drinks will be prepared into a sealed capsule, assigned to the order and quickly collected by one of many electric drones which will fly to the customer’s location and dispense into the guest’s own glassware. The capsule is returned, cleaned and re-used. Likely at the same location as the bartenders, real chefs will prepare your meal and dispatch it in the same way. These food and drinks distribution centres could easily house and distribute multiple brands, so you could order anything from Burger King to TGI Friday’s to Gourmet, and different kitchens in the same building would produce your meals, using the same drone fleet to deliver to your table. And I do mean to your table. Amazon has been testing goods delivery drones in a number of locations. They’ve also created smart locks which allow your products to be delivered directly into your home, opening for the delivery person with your permission. The drones can accurately deliver to your place setting, and with your immersive headset in place, you’d probably not even hear the sound of it’s rotors. And don’t worry, its sensors will notice if you reach into its path so it doesn’t take your hand off. Your waiter is always just a call away and as they don’t have to waste time carrying plates will be able to offer better service than ever before, while also serving more virtual tables. Trying to catch their eye will be a thing of the past. What’s not to enjoy here? You finish your meal, enjoy a few more drinks, exchange stories and have a great time. Its easy to forget you’re sitting in your home, but this comes with its advantages. There’s no need to try to flag down a taxi (which would almost certainly be driverless by 2030) as you’re already home. None of this is taking anything away from hospitality professionals. Great servers and bartenders will still make their money and build their reputations. Great chefs will still create beautiful meals from fresh ingredients. All that changes is the logistics. I don’t see that this will be the situation for every meal and every drink, people who live close to one another will still meet and eat in person – though the kitchens may still be distributed, allowing all of the prime location to be used to look after guests rather than prepare the food and drinks. What do you think about this? Would the virtual dinner party ruin the experience or allow those around the world to spend time without the carbon footprint of travel? 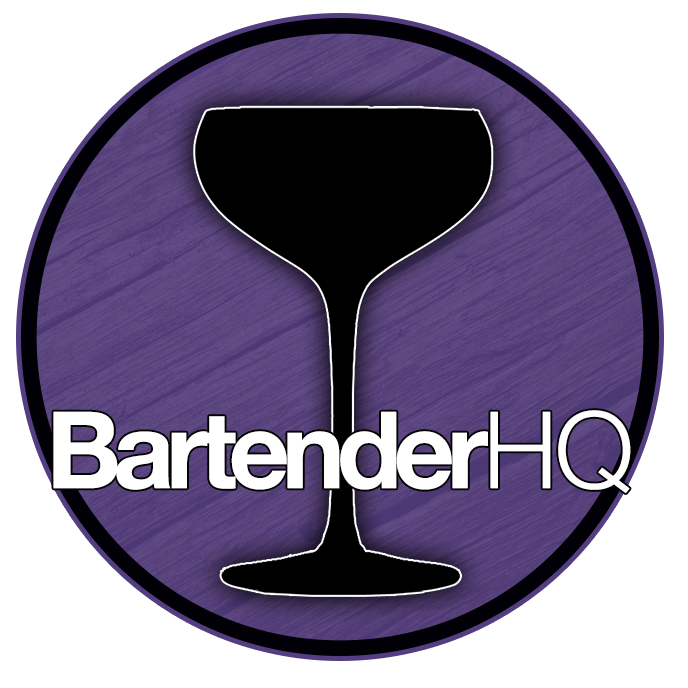 Let us know @BartenderHQ on Twitter.